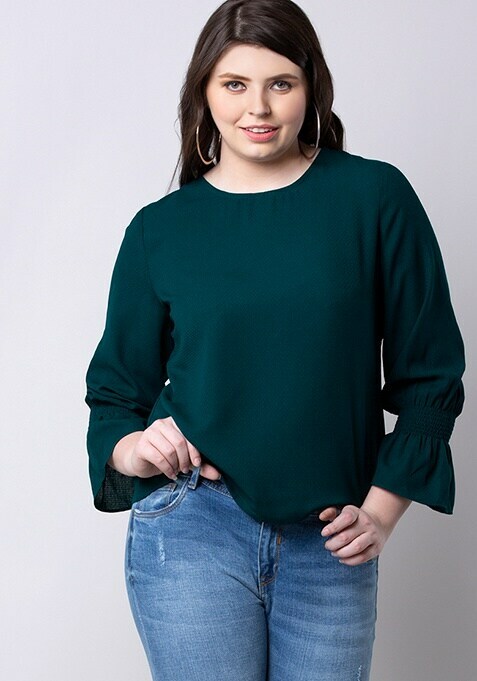 This green top is a wardrobe essential for the new season. Featuring smocking full sleeves and a round neck. Work It: Style this top with jeans and killer heels.